To compete in today’s world, business leaders are placing increased demands on IT. Unfortunately, many IT departments are not able to deliver future innovation with their current infrastructure, applications and processes. To meet these demands, IT must digitally transform the enterprise through the adoption of cloud native practices, allowing them to both optimize and transform their existing infrastructure and applications. Recent Avanade research supports this thinking, finding that 88% of senior IT decision-makers believe that IT modernization is crucial to addressing the emerging requirements of the digital business. On the upside, those surveyed also indicated that by modernizing their IT infrastructures they expect to deliver real business results, such as boosting annual revenue by 14%, while at the same time reducing business operating costs by 13%. 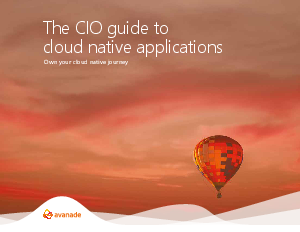 For many, this sounds like a winning strategy but what does it mean to adopt cloud native approaches, and how does it impact the organization? Download this asset to learn more.